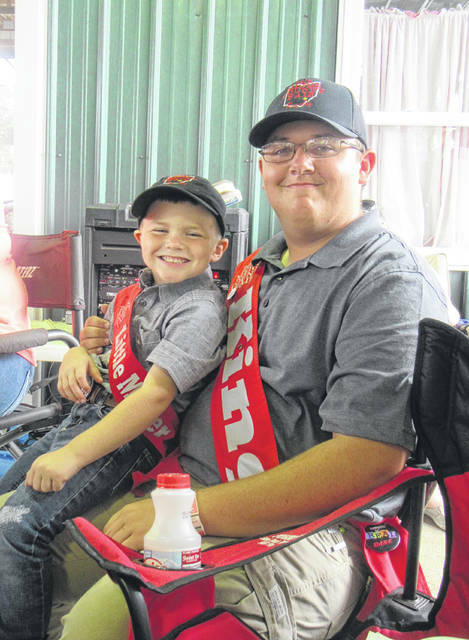 2018 Meigs County Fair King Austin Rose is pictured with Little Mister Reece Davis. This rabbit waits its turn to be judged during Thursday’s Junior Fair Market Rabbit Show. Brayden Stanley talks with the judge during the Market Rabbit Show on Thursday at the Meigs County Fair. Future showmen take their turn in the ring, with the assistance of older showmen, for Pee Wee Showmanship. 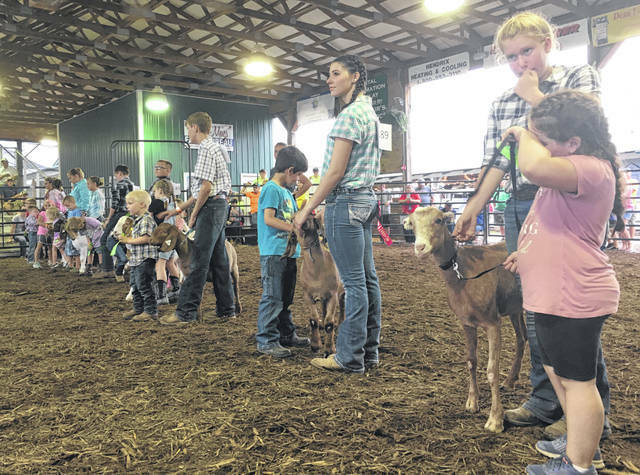 Goat showmen line up their animals for judging during Wednesday evening’s Market Goat Show. Morgan Haines talks with the judge about her rabbit. A group of rabbit showmen wait their turn for judging on Thursday morning. The Reserve Champion rabbits or Hanna Bottomley wait for pictures following the Market Rabbit Show. Gabrielle Beeler and Brogan Jenkins wait to show their rabbits. 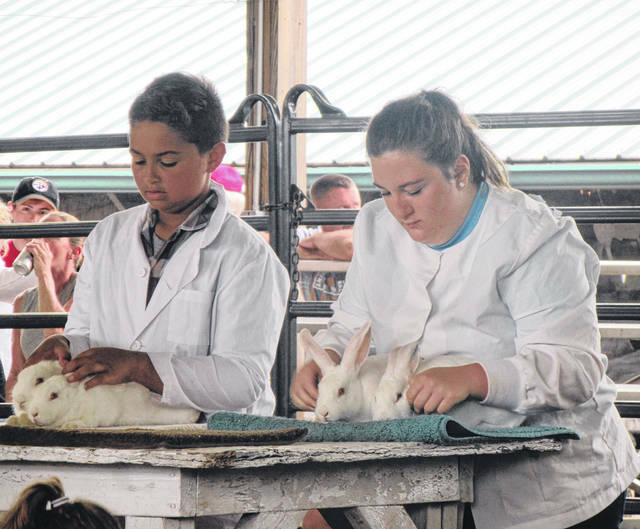 Sisters Hannah Jackson and Rachel Jackson made the final table in the showmanship competition at Thursday’s Market Rabbit Show. Brycen Rowe and Rachel Jackson await their turn for judging along with their rabbits. Rowe earned Grand Champion Market Rabbit, while Jackson was Grand Champion Rabbit Showman. 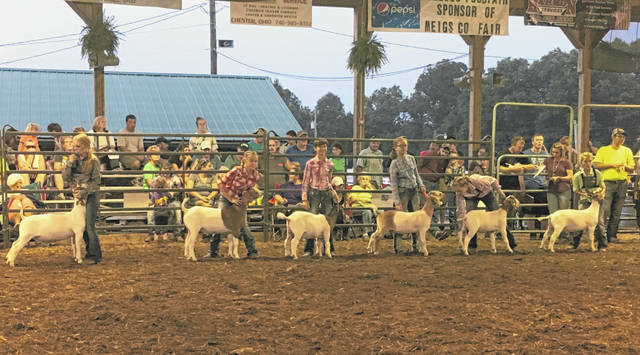 https://www.mydailysentinel.com/wp-content/uploads/sites/14/2018/08/web1_Photo-Page-4-1_ne201881614526366.jpg2018 Meigs County Fair King Austin Rose is pictured with Little Mister Reece Davis. 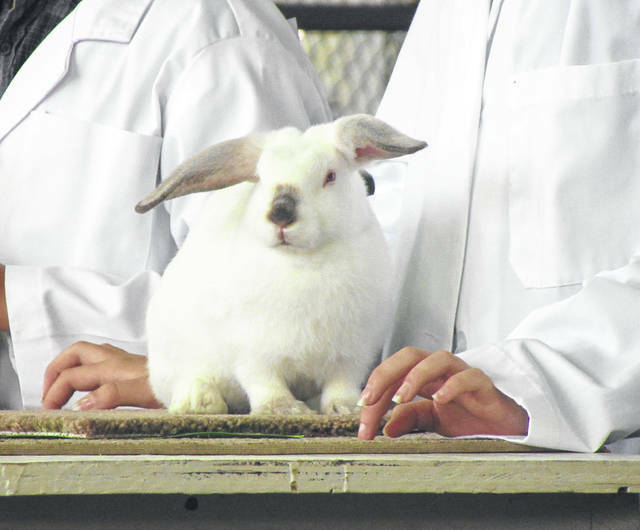 https://www.mydailysentinel.com/wp-content/uploads/sites/14/2018/08/web1_Photo-Page-4-2_ne201881614530532.jpgThis rabbit waits its turn to be judged during Thursday’s Junior Fair Market Rabbit Show. 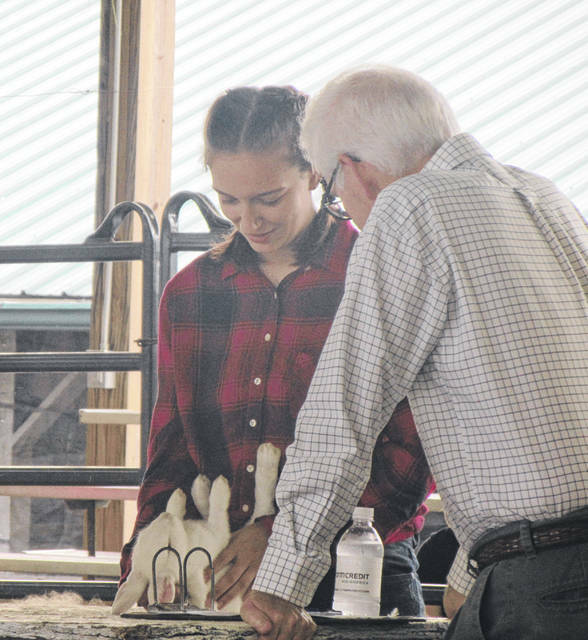 https://www.mydailysentinel.com/wp-content/uploads/sites/14/2018/08/web1_Photo-Page-4-3_ne201881614532895.jpgBrayden Stanley talks with the judge during the Market Rabbit Show on Thursday at the Meigs County Fair. https://www.mydailysentinel.com/wp-content/uploads/sites/14/2018/08/web1_Photo-Page-4-4_ne201881614535354.jpgFuture showmen take their turn in the ring, with the assistance of older showmen, for Pee Wee Showmanship. 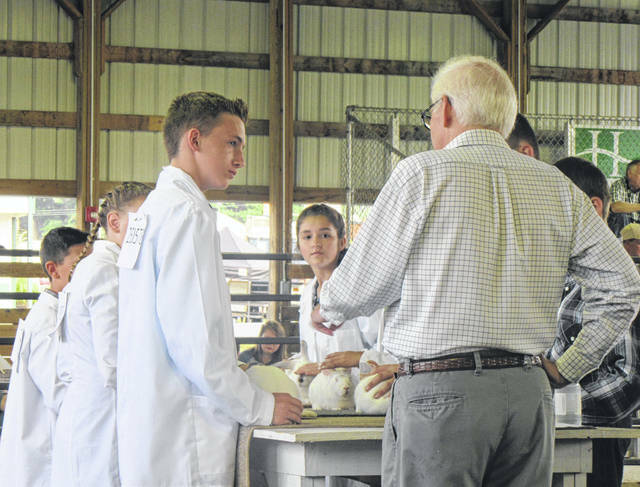 https://www.mydailysentinel.com/wp-content/uploads/sites/14/2018/08/web1_Photo-Page-4-5_ne201881614537951.jpgFuture showmen take their turn in the ring, with the assistance of older showmen, for Pee Wee Showmanship. 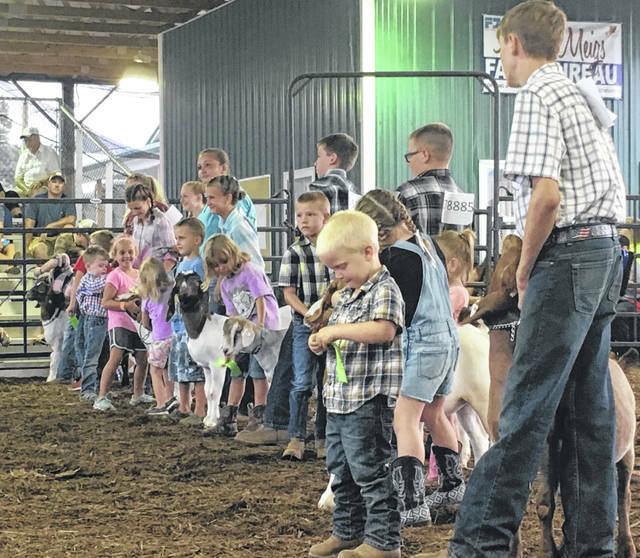 https://www.mydailysentinel.com/wp-content/uploads/sites/14/2018/08/web1_Photo-Page-4-6_ne201881614540607.jpgGoat showmen line up their animals for judging during Wednesday evening’s Market Goat Show. 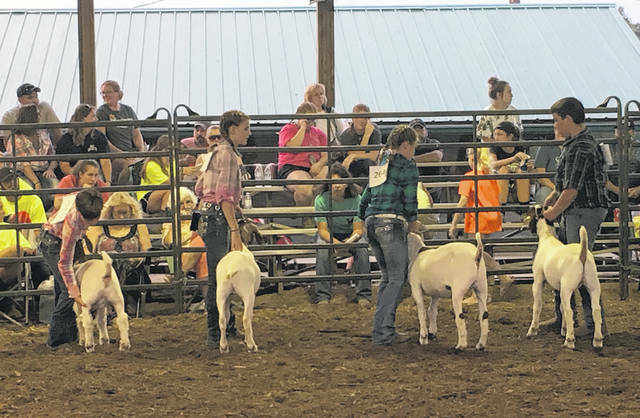 https://www.mydailysentinel.com/wp-content/uploads/sites/14/2018/08/web1_Photo-Page-4-7_ne20188161454342.jpgGoat showmen line up their animals for judging during Wednesday evening’s Market Goat Show. https://www.mydailysentinel.com/wp-content/uploads/sites/14/2018/08/web1_Photo-Page-4-8_ne201881614545286.jpgMorgan Haines talks with the judge about her rabbit. 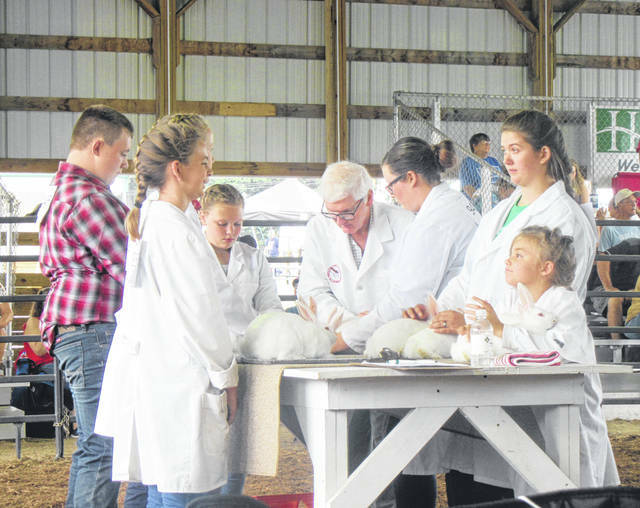 https://www.mydailysentinel.com/wp-content/uploads/sites/14/2018/08/web1_Photo-Page-4-9_ne201881614549723.jpgA group of rabbit showmen wait their turn for judging on Thursday morning. 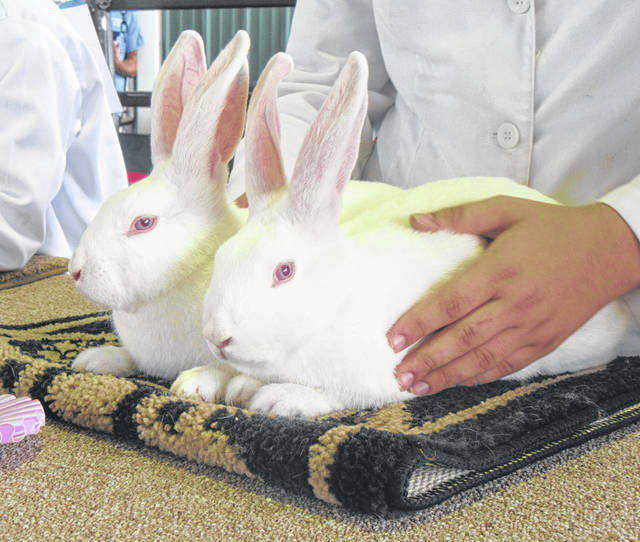 https://www.mydailysentinel.com/wp-content/uploads/sites/14/2018/08/web1_Photo-Page-4-10_ne201881614552286.jpgThe Reserve Champion rabbits or Hanna Bottomley wait for pictures following the Market Rabbit Show. 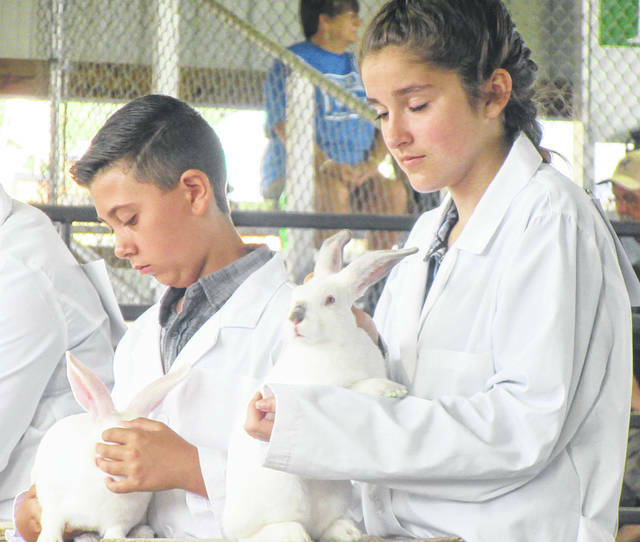 https://www.mydailysentinel.com/wp-content/uploads/sites/14/2018/08/web1_Photo-Page-4-11_ne20188161455536.jpgGabrielle Beeler and Brogan Jenkins wait to show their rabbits. https://www.mydailysentinel.com/wp-content/uploads/sites/14/2018/08/web1_Photo-Page-4-12_ne201881614557452.jpgSisters Hannah Jackson and Rachel Jackson made the final table in the showmanship competition at Thursday’s Market Rabbit Show. 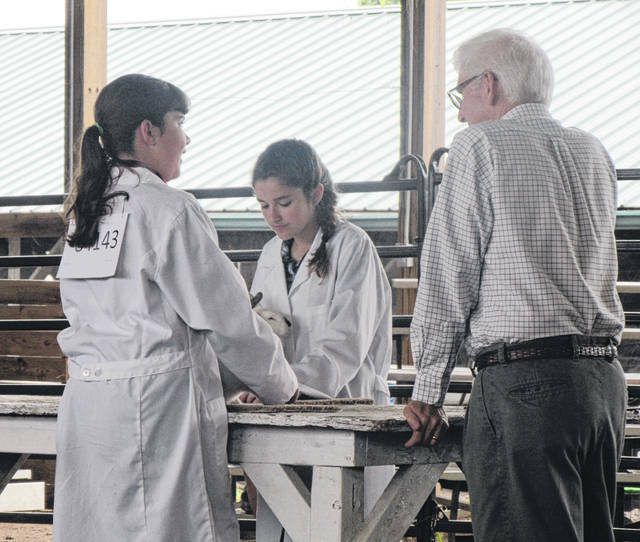 https://www.mydailysentinel.com/wp-content/uploads/sites/14/2018/08/web1_Photo-Page-4-13_ne20188161460150.jpgBrycen Rowe and Rachel Jackson await their turn for judging along with their rabbits. Rowe earned Grand Champion Market Rabbit, while Jackson was Grand Champion Rabbit Showman.